Alhaji Mujahid Asari-Dokubo, leader of the Niger Delta Peoples Volunteer Force (NDPVF), has given the Federal Government one week ultimatum to hands off alleged plan to rig the governorship election in Bayelsa State and install the All Progressives Congress (APC) candidate, Timipre Sylva, as winner. Asari-Dokubo in a statement issued in Yenagoa, on Thursday, accused the Federal Government and its agencies of collaborating with the Independent National Electoral Commission (INEC) to rig the election. He stated that in furtherance of this, the ex-militants have regrouped under a new formation known as the Reformed Ex-Agitators of the Niger Delta (REND), which he claimed he is now leading to press for a democratic process in determining the outcome of the election. “If by next week the Federal Government does not hands off from the Bayelsa polls by allowing the people to freely choose their leader but still interfering through the observed various guises and deception, then we would have no option than to return to the creeks to press for our rights as patriotic citizens being unduly oppressed and dehumanized all in the name of politics,” he stated. 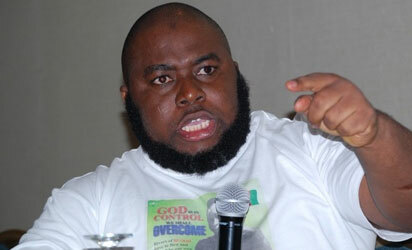 Asari-Dokubo said the new group frowned at the role of the Joint Task Force (JTF) in the Southern Ijaw election saga, alleging that the military received direct instruction from President Muhammadu Buhari to ensure that the APC candidate, Timipre Sylva, was declared winner against the wish of the people. He said, “We have said it before that President Buhari is executing an anti-Ijaw agenda and his aim is to steal our God-given resources to rebuild the north destroyed by Boko Haram. That is why he is hell-bent on manipulating the electoral process in Bayelsa State and hand it over to the APC. They are exploiting Sylva’s greed and desperation for power and therefore using him to carry out their evil agenda. But we want them to know that this country will go up in flames if they try it. Boko Haram will be a child’s play if President Buhari and his APC think they can upturn the people’s mandate. It would be a grave injustice which can never stand. We are Ijaw people and we have never been conquered”. Dokubo-Asari stressed that going by the results already declared by INEC, PDP’s candidate, Governor Seriake Dickson, had won 6 of the 7 local governments declared with a margin of 33,154 votes and has thus fulfilled constitutional requirement of 2/3 spread and popular votes but without Southern Ijaw as the only local government remaining. He therefore called on the Federal Government to ensure the election is rescheduled and conducted in a transparent process just as he reiterated that his new organization would be watching to see if the government still interferes in the process till next week and would then launch “a full scale agitation to save our people from modern day slavery of intimidation, oppression and dictators.